The Boston Medical Library in the Francis A. Countway Library of Medicine will offer annual fellowships to support research in the history of medicine. The mission of the Boston Medical Library (BML), incorporated in 1877, is “to be a Library for the dissemination of medical knowledge, the promotion of medical education and scholarship, and the preservation and celebration of medical history, and thereby to advance the quality of health and healthcare of the people.” Support for the fellowship program is provided by the BML’s Abel Lawrence Peirson Fund. The Francis A. Countway Library Fellowships in the History of Medicine provide stipends of up to $5,000 to support travel, lodging, and incidental expenses for a flexible period between July 1, 2016, and June 30, 2017. Besides conducting research, the fellow will submit a report on the results of his/her residency and may be asked to present a seminar or lecture at the Countway Library. The fellowship proposal should demonstrate that the Countway Library has resources central to the research topic. Preference will be given to applicants who live beyond commuting distance of the Countway. The application, outlining the proposed project (proposal should not exceed five pages), length of residence, materials to be consulted, and a budget with specific information on travel, lodging, and research expenses, should be submitted, along with a curriculum vitae and two letters of recommendation, by February 20, 2016. The fellowship appointments will be announced by in April, 2016. Application period extended to March 31, 2015. The Foundation for the History of Women in Medicine will provide one $5000 grant to support travel, lodging, and incidental expenses for a flexible research period between July 1st 2015 – June 30th 2016. Foundation Fellowships are offered for research related to the history of women to be conducted at the Center for the History of Medicine at the Francis A. Countway Library of Medicine. Preference will be given to projects that deal specifically with women physicians or other health workers or medical scientists, but proposals dealing with the history of women’s health issues may also be considered. The fellowship proposal should demonstrate that the Countway Library has resources central to the research topic. Manuscript collections which may be of special interest include the recently-opened Eva Neer Papers, Priscilla Schaffer Papers, or Marion Cabot Putnum Papers, or the collections of pioneers Mary Ellen Avery, Elizabeth Hay, or Grete Bibring. Preference will be given to those who are using collections from the Center’s Archives for Women in Medicine (see the full list of AWM collections here), but research on the topic of women in medicine using other material from the Countway Library will be considered (see our research guides list for online finding aids or Hollis for the most comprehensive information about all our holdings; note that the Hollis upgrade will be completed on December 22, 2014). Preference will also be given to applicants who live beyond commuting distance of the Countway, but all are encouraged to apply, including graduate students. Applicants should submit a proposal (no more than five pages) outlining the proposed project, its subject and objectives, length of residence, historical materials to be consulted, and a project budget with specific information on travel, lodging, and research expenses), along with a curriculum vitae and two letters of recommendation by March 31th, 2015. Applications should be sent to: Women in Medicine Fellowships, Archives for Women in Medicine, Francis A. Countway Library of Medicine, 10 Shattuck Street, Boston, MA 02115. Electronic submissions of applications and supporting materials and any questions may be directed to chm@hms.harvard.edu. The fellowship appointment will be announced in April 2015. The Archives for Women in Medicine is pleased to announce our 2014-2015 Foundation for the History of Women in Medicine Fellow: Rebecca Kluchin, Ph.D.
Dr. Kluchin is an Associate Professor of History at California State University, Sacramento, and studies the history of women’s reproductive health in the United States. Her first book, Fit to Be Tied: Sterilization and Reproductive Rights in America, 1950-1980 (Rutgers University Press, 2005), won the Francis Richardson Keller-Sierra Award for best monograph published in 2009 from the Western Association of Women’s Historians. Her current project, Pregnancy and Personhood: The Maternal-Fetal Relationship in America, 1850 to the Present, examines the evolution of the public and private relationship between a woman and her pregnancy and explores the ways in which changing definitions of fetal rights, fetal personhood, maternal responsibility, and abortion have shaped the experiences and cultural understanding of pregnancy for millions of women across race and class. Kluchin’s research shows that efforts to grant personhood rights to the “unborn” in the United States date back to the 1850s and have not always been embroiled in the politics of abortion. Pregnancy and Personhood considers the extent to which women’s experience with prenatal care, pregnancy, and motherhood has been influenced by maternal-fetal politics and studies how these politics have changed over time and why. During her time at the Countway, Kluchin will make use of numerous collections including the papers of Alan Guttmacher, Arthur T. Hertig, John Rock, Leona Baumgartner, Amalie Kass and Benjamin Osgood and as well as the records of the Boston Lying-In Hospital. Among other things, she will track the evolution of prenatal care and the language physicians used to describe the fetus and their pregnant patients’ relationship to it. She will also consult the Countway’s collection of obstetrics guides from the nineteenth and twentieth centuries as well as the papers of M. Judah Folkman as they relate to thalidomide. The Archives for Women in Medicine is pleased to announce our 2013-2014 Foundation for the History of Women in Medicine Fellow: Ciara Breathnach, Ph.D.
Dr. Breathnach is a Lecturer in the Department of History at the University of Limerick, Ireland, and has published on Irish socio-economic and health histories in the nineteenth and twentieth centuries. 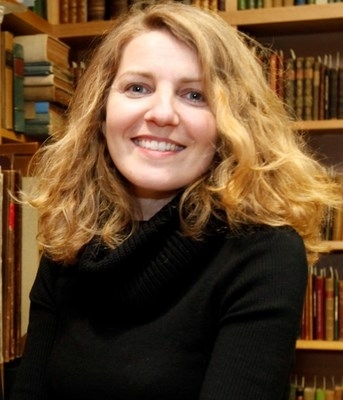 Breathnach’s research focuses on how the poor experienced, engaged with and negotiated medical services in Ireland and in North America from 1860-1912. It builds on her wider studies on the family unit and the social history of medicine in Ireland and will help to advance her hypothesis that the rural Irish female was slow to medicalize, not only for socio-economic reasons, but also for reasons of personal agency. 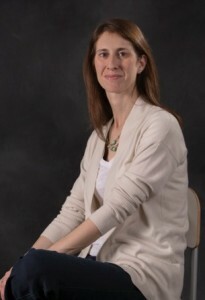 Using evidence from the records of the Boston dispensary, Brigham and Women’s Hospital, the Free Hospital for Women, and other collections, her research aims to show that Irish women continued to present as a problematic group long after the ethnic associations with cholera and typhoid outbreaks of earlier decades had dissipated. Breathnach’s study examines migratory waves against trends in medical and social modernity processes. Combining pre-existing hypotheses from migration history and history of family, this study argues that because most Irish immigrants came from pre and proto-industrial households, they occupied a ‘transition phase’ of the social development process and were unfamiliar with modern medicine. Displaced by agricultural transition, and changes in marriage and inheritance patterns, Irish female migration came to outnumber male by the 1890s. Even after economic convergence had been reached in terms of real wages the rural Irish female continued to emigrate in significant numbers for economic, social and cultural reasons. These gendered migration trends have been well explored and established by economic and social historians but the history of their medical acculturation has remained largely ignored. By contrast the strain of Irish immigrants on the mental health system has received due consideration. This focused study of records held at the Archives for Women in Medicine at the Countway Library will be weighed against other socio-economic evidence to establish how problematic groups such as the Irish poor affected and shaped medical care in Boston. The Foundation for the History of Women in Medicine will provide one $5000 grant to support travel, lodging, and incidental expenses for a flexible research period between July 1st 2013 – June 30th 2014. Foundation Fellowships are offered for research related to the history of women to be conducted at the Center for the History of Medicine at the Francis A. Countway Library of Medicine. Preference will be given to projects that deal specifically with women physicians or other health workers or medical scientists, but proposals dealing with the history of women’s health issues may also be considered. Manuscript collections which may be of special interest include the recently-opened Mary Ellen Avery Papers, the Leona Baumgartner Papers, and the Grete Bibring Papers (find out more about our collections at www.countway.harvard.edu/awm). Preference will be given to those who are using collections from the Center’s Archives for Women in Medicine, but research on the topic of women in medicine using other material from the Countway Library will be considered. Preference will also be given to applicants who live beyond commuting distance of the Countway, but all are encouraged to apply, including graduate students. Applicants should submit a proposal (no more than two pages) outlining the subject and objectives of the research project, length of residence, historical materials to be used, and a project budget (including travel, lodging, and research expenses), along with a curriculum vitae and two letters of recommendation by March 15th, 2013. The fellowship proposal should demonstrate that the Countway Library has resources central to the research topic. Applications should be sent to: Women in Medicine Fellowships, Archives for Women in Medicine, Francis A. Countway Library of Medicine, 10 Shattuck Street, Boston, MA 02115. Electronic submissions of applications and supporting materials and any questions may be directed to jessica_sedgwick@hms.harvard.edu. The fellowship appointment will be announced in April 2013. The Foundation for the History of Women in Medicine will provide one $5000 grant to support travel, lodging, and incidental expenses for a flexible research period between July 1st 2012 – June 31st 2013. Foundation Fellowships are offered for research related to the history of women to be conducted at the Center for the History of Medicine at the Francis A. Countway Library of Medicine. Preference will be given to projects that deal specifically with women physicians or other health workers or medical scientists, but proposals dealing with the history of women’s health issues may also be considered. Applicants should submit a proposal (no more than two pages) outlining the subject and objectives of the research project, length of residence, historical materials to be used, and a project budget (including travel, lodging, and research expenses), along with a curriculum vitae and two letters of recommendation by April 1st, 2012. The fellowship proposal should demonstrate that the Countway Library has resources central to the research topic. The Foundation for the History of Women in Medicine will provide one $5000 grant to support travel, lodging, and incidental expenses for a flexible research period between July 1st 2011 – June 31st 2012. Foundation Fellowships are offered for research related to the history of women to be conducted at the Center for the History of Medicine at the Francis A. Countway Library of Medicine. Preference will be given to projects that deal specifically with women physicians or other health workers or medical scientists, but proposals dealing with the history of women’s health issues may also be considered. Manuscript collections which may be of special interest include the recently-opened Mary Ellen Avery Papers, the Leona Baumgartner Papers, and the Grete Bibring Papers (find out more about our collections at our website). Preference will be given to those who are using collections from the Center’s Archives for Women in Medicine, but research on the topic of women in medicine using other material from the Countway Library will be considered. Preference will also be given to applicants who live beyond commuting distance of the Countway, but all are encouraged to apply, including graduate students. Applicants should submit a proposal (no more than two pages) outlining the subject and objectives of the research project, length of residence, historical materials to be used, and a project budget (including travel, lodging, and research expenses), along with a curriculum vitae and two letters of recommendation by March 1st, 2011. The fellowship proposal should demonstrate that the Countway Library has resources central to the research topic. The Boston Medical Library in the Francis A. Countway Library of Medicine will offer two annual fellowships to support research in the history of medicine. 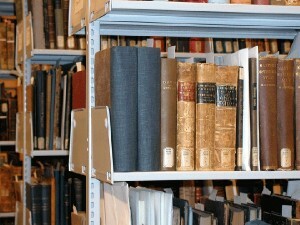 The mission of the Boston Medical Library (BML), incorporated in 1877, is “to be a Library for the dissemination of medical knowledge, the promotion of medical education and scholarship, and the preservation and celebration of medical history, and thereby to advance the quality of health and healthcare of the people.” Support for the fellowhip program is provided by the BML’s Abel Lawrence Peirson Fund. The Countway Library, created in 1960 by the partnership of the BML and the Harvard Medical Library, houses the combined collections of its two partners and is one of the largest medical libraries in the United States. It serves Harvard’s academic needs and the constituency of the BML which includes the other three medical schools in Massachusetts, the Massachusetts Medical Society, and practicing physicians. Its Center for the History of Medicine holds 250,000 books and journals published before 1920, and is strong in virtually every medical discipline. 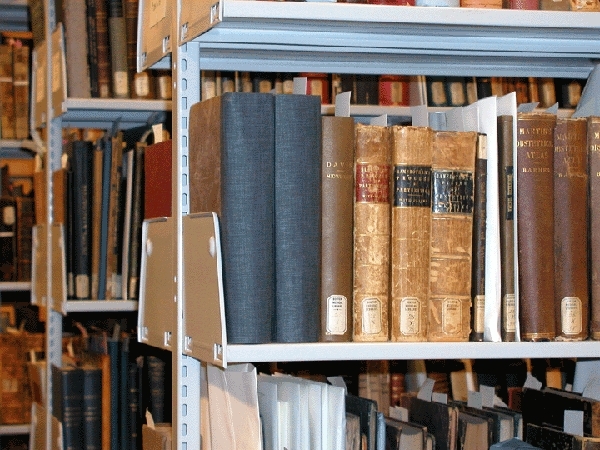 The Countway’s archives and manuscripts include the personal and professional papers of prominent American physicians, such as Grete Bibring, Maxwell Finland, Henry Beecher, Walter Bradford Cannon, Oliver Wendell Holmes, John Collins Warren, Stanley Cobb, and Benjamin Waterhouse,many of whom were associated with Harvard Medical School. The printed, manuscript, and archival holdings are complemented by paintings, prints, photographs, and the collections of the Warren Anatomical Museum. The Francis A. Countway Library Fellowships in the History of Medicine provide stipends of up to $5,000 to support travel, lodging, and incidental expenses for a flexible period between June 1, 2011 and May 31, 2012. Besides conducting research, the fellow will submit a report on the results of his/her residency and may be asked to present a seminar or lecture at the Countway Library. The fellowship proposal should demonstrate that the Countway Library has resources central to the research topic. Preference will be given to applicants who live beyond commuting distance of the Countway. The application, outlining the proposed project (proposal should not exceed five pages), length of residence, materials to be consulted, and a budget with specific information on travel, lodging, and research expenses, should be submitted, along with a curriculum vitae and two letters of recommendation, by February 1, 2011. Applications should be sent to: Countway Fellowships, Center for the History of Medicine, Francis A. Countway Library of Medicine, 10 Shattuck Street, Boston, MA 02115. 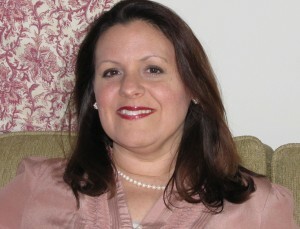 The appointment will be announced by March 15, 2011. Questions can be directed to chm@hms.harvard.edu.